Today, I was on site, guiding a group and came upon something that I have not seen in the 25 odd years I’ve been hanging around Tell es-Safi/Gath. Yesterday and today, there was quite an unusual rain event throughout the country – and there were several impressive rain showers. When I got to the tell, the dirt roads near the tell were muddy and with puddles. 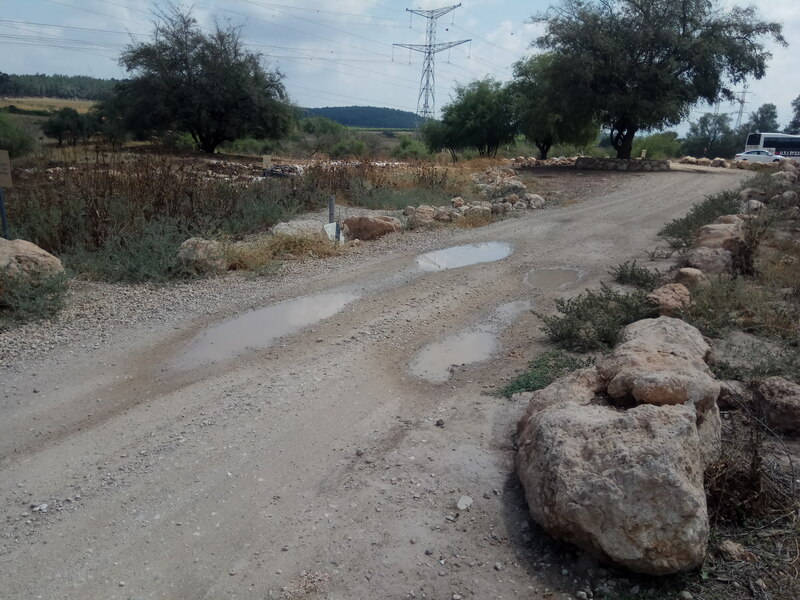 And, when I got to the tell, there were actual puddles on the dirt road next to Area D in the lower city! Remember – this is mid-June and in most years, the last rains were over in April or early May! This really is something extraordinary – and hopefully, will be good for the new areas that we are opening – in that the topsoil won’t be very dry and hard. A week and half to the 2018 season!